Select USPS Priority Mail and UPS Charge will be subtracted before shipping. An updated invoice will be emailed. ---------------------------------------------------------------------------------------------------------------- USPS Priority Mail (+$10.00) Ship my order UPS, charges will be shown during check out. Rock Crawlers! Are you tired of destroying your under carriage hardware to the point where the bolts are unserviceable? Use our Rock Slider Washers to protect against damaged hardware! They are made of steel and have a gold zinc plated finish. 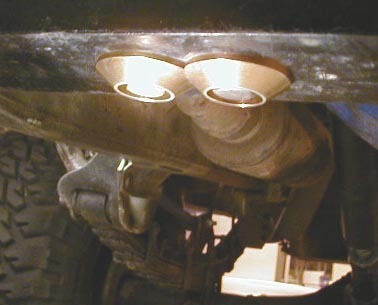 A perfect addition for cross members and skid plates on your four wheel drive's undercarriage. May also be used on some bead lock wheels. Use on every other bolt. This product is perfect for 3/8" to 7/16" hardware. Price shown is for (2) two washers.